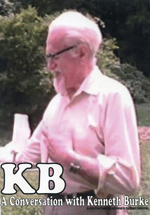 There are 19 dissertations from 2007-09 listed in the DAI with a subject keyword including the name Kenneth Burke. Some of these are undoubtedly your students or colleagues, others are intriguing new paths; some will no doubt in a few years be publishing the next book to increase the corpus of Burke studies. Atchison, Beth. Assistive technology as an accommodation on accountability assessments: An analysis of attitudes and knowledge of special education professionals. Diss. Kansas State University, 2008. Beasley, James. A prehistory of rhetoric and composition: New Rhetoric and neo-aristotelianism at the University of Chicago, 1947--1959. Diss. Purdue University, 2007. Bonnstetter, Bradley. An analytical framework of parody and satire: Mel Brooks and his world. Diss. University of Minnesota, 2008. Boone, George. A Burkean analysis of "World of Warcraft": Identity work in a virtual environment. Diss. Villanova University, 2008. Carlson, Gregory. The cinema of Wes Anderson as rhetorical text: Implications for teaching rhetoric, film appreciation, and ethics in the film studies classroom. Diss. North Dakota State University, 2007. Carson, Gary. Time bending: Temporal malleability and organizational response in crisis situations. Diss. University of South Florida, 2008. Day, Stacy. The rhetoric of nostalgia: Reconstructions of landscape, community, and race in the United States' South. Diss. The University of Arizona, 2009. Gretton, Linda. The rhetorical helix of the biotechnology and pharmaceutical industries: Strategies of transformation through definition, description, and ingratiation. Diss. The University of North Carolina at Greensboro, 2007. Hovden, Jan. Symbols and the construction of values: Kenneth Burke and (re)valuation. Diss. University of Kansas, 2008. Iuli, Maria. The human is the limit. Modernity and the ideology of the human in late American Modernism: Kenneth Burke, Nathanael West, and Richard Wright. Diss. Indiana University, 2007. Johnson, Kevin. The unconscious as a rhetorical factor: Toward a BurkeLacanian theory and method. Diss. The University of Texas at Austin, 2007. King, Amy. Evangelical confessions: An ideological struggle over evangelical political identity. Diss. The University of North Carolina at Chapel Hill, 2009. Lissner, Patricia. Chi-thinking: Chiasmus and cognition. Diss. University of Maryland, College Park, 2007. McCarthy, Rebecca. Building cosmopolitical solidarity from the "Antigone": A return to the chorus. Diss. Florida Atlantic University, 2007. Phillips, Moira. The rhetoric of equality: A Burkean analysis of Vriend. Diss. York University (Canada), 2007. Plate, Daniel. Early readers of Kenneth Burke: Contradiction within community as a means to knowledge. Diss. Washington University in St. Louis, 2008. Singer, Ross. Ethics of identification in the organizational production of the war on terror: The rhetoric of the U.S. Department of Agriculture. Diss. Bowling Green State University, 2008. Whitehead, Barbara. A rhetorical analysis of John Fowles's "Daniel Martin". Diss. Purdue University, 2007. Zeytinoglu, Cem. Advertising as epideictic rhetoric and its implications for ethical communication. Diss. Duquesne University, 2007.